Is Persona 5 on PS4 actually a 1080p remaster? Digital Foundry looks at the PlayStation 3 release, finding a remarkably similar experience. At a technological level, Atlus's Persona 5 is one of the most fascinating releases we've seen in quite some time. It's one of the most slick, stylish games we've played but at the same time, it's undeniably a last-gen game at its core. How can we say that with so much certainty? Well, to all intents and purposes, the PlayStation 3 version offers the same experience, with just a couple of downgrades. And by extension, the PS4 release is very much like a full HD remaster: it plays smoother, with a higher resolution but it's effectively the same game overall. Despite its last-gen roots, Persona 5 works so well is down to the brilliance of its visual execution, with a style and panache that successfully spans two console generations. Before looking at the game, we'd heard nothing but praise for the game's presentation and we can understand the commotion - if there was a prize for the most stylish menu system in gaming, Persona 5 would take gold. The menu system is indeed beautifully executed, but it's there's more to it than that. It's just one key element in a stunning visual design that persists throughout the title. The way the game effortlessly transitions between different scenes using slick visual design and top-notch animation really must be seen to be believed, even the game's loading screens are an enjoyable part of the experience - a remarkable accomplishment in itself. 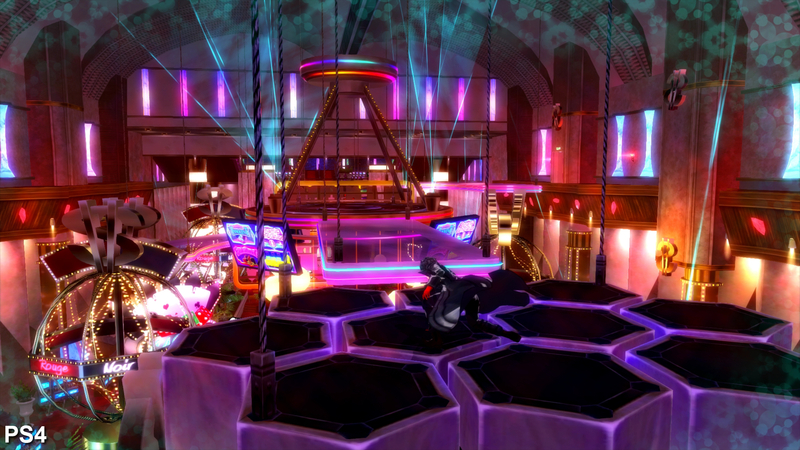 Persona 5 has actually been in gestation for a long time, starting development in 2012, just after the release of Atlus's Catherine - a strange PS3/Xbox 360 puzzle game you may recall (also playable on Xbox One via backwards compatibility. Catherine utilised the Gamebryo engine, but it served as a jumping on point for the team into HD game production. 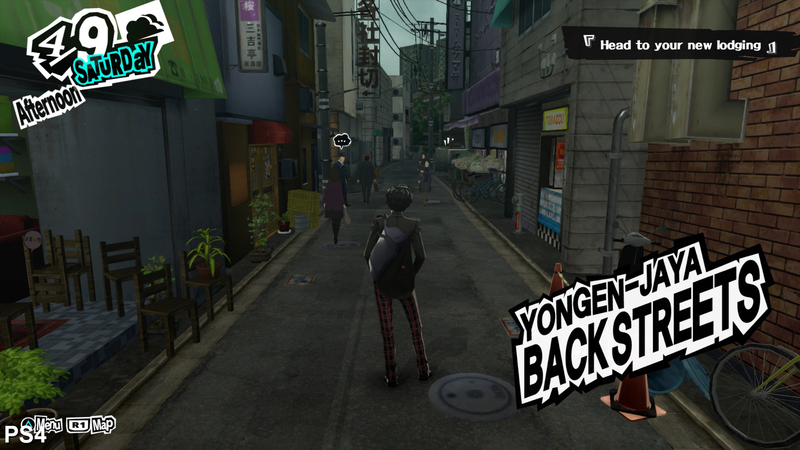 For Persona 5 though, the team created an entirely new engine and tools to get the job done. John's detailed Persona 5 analysis shows the game's last-gen technical basis - and how well it straddles two console generations. While this foray into engine development certainly increased development time, the powerful new tools enabled the team to create the game they set out to make. The easy to use toolset enabled the creators to quickly build and modify scenes. And that's a good thing, as Persona 5 features a grand total of 1160 event scenes. The technology was built with PlayStation 3 in mind - that was always the target platform here, as you'll see once we compare the two versions of the game in more depth. But to put things into perspective, main characters consist of less than 17,000 triangles - a modest number for a modern game, though a massive leap from Persona 4. For comparison, something like Infamous Second Son features 120,000 triangles for the main character. 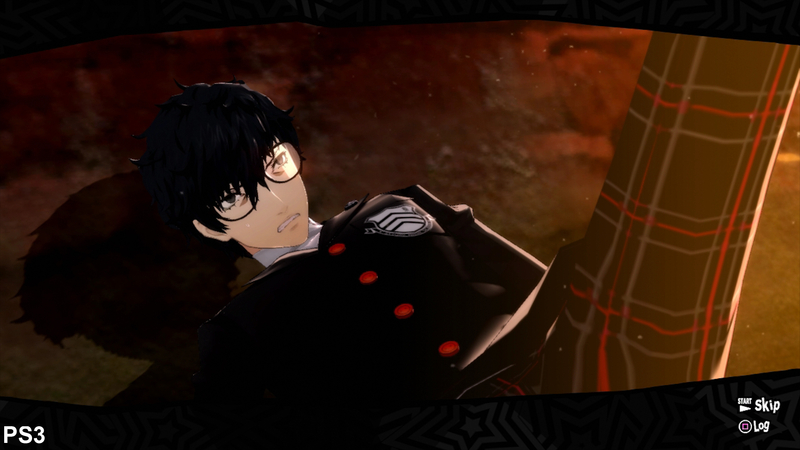 But it's never just about the raw geometry count - it's what you do with those polygons that counts and the Persona team has done a wonderful job capturing the look of character designer Shigenori Soejima's work. The custom shaders designed for the game really help bring the cast to life and the event scenes are far more intricate than in any previous Atlus RPG. Despite the huge volume of content, the Persona 5 team only grew to around 70 people at its largest. In terms of platform comparisons, Persona 5 operates at 1080p at 30fps on PlayStation 4 - a disappointment for those expecting a full 60Hz experience, but at least the delivered performance level is rock-solid. The boost in resolution is the major improvement over the PS3 game, but there are other smaller bonuses too - better quality video sequences and reduced loading times. However, there is absolutely no PS4 Pro support whatsoever - perhaps to be expected bearing in mind that the Japanese version of the game pre-dates the release of Sony's 4K console. This busy introduction scene demonstrates the gains from a higher resolution nicely while also highlighting the lack of additional visual differences between the two versions. The one notable difference between the two versions comes down to shadow resolution - shadows are lower resolution on PS3 with blurred edges while they appear sharper, but more pixelated, on PS4. The higher resolution improves the look of the game's environments on PS4. In addition, the entire interface makes use of assets designed for 1080p displays so text and UI elements are much sharper. 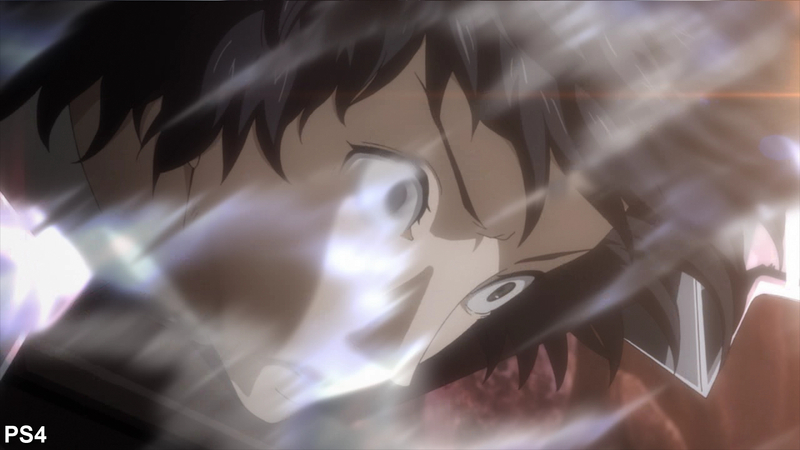 While both games ship on a Blu-ray disc, the PS4 version features higher quality video sequences with less macro-blocking and a higher resolution. The PlayStation 3 version really is remarkably close. Resolution aside, the presentation is very nearly identical. All 3D art assets are a match for PS4, and while texture filtering isn't quite as impressive, this is mostly likely down to the decreased resolution as opposed to any change in rendering techniques. Shadow resolution is also dialled back, but otherwise the look of the game stands up very well to the PS4 version. However, Atlus has paid careful consideration to the cross-gen nature of the project - so the terrific menu system and all 2D elements are designed with 1080p screens in mind. The most noticeable difference isn't down to the visuals, but rather the performance. While both games target 30fps, only the PS4 version delivers it with rock-solid consistency. The last-gen game often misses its performance target leading to obvious screen-tearing in almost every scene. And unlike modern games, which tend to limit this to the top portion of the screen, Persona 5 suffers from tearing throughout the screen, which can be intrusive. The result is a game that just doesn't feel quite as fluid as the PS4 version, which to all intents and purposes is a 1080p remaster of its last-gen sibling. It plays fine, but if you have the choice, the PS4 version is clearly the preferable option. The game is still beautiful but it doesn't quite deliver the same level of polish on the last-gen Sony platform, and as it's been available in Japan for quite some time, you shouldn't expect any sort of performance patch either. But the point is that PS4's main addition to Persona 5 only really amounts to additional refinement to the core experience. 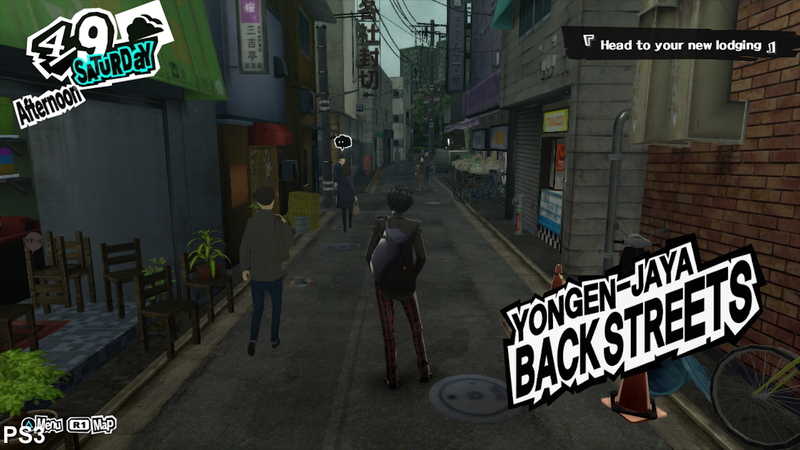 The PS3 game dramatically demonstrates that Persona 5 is indeed based on last-gen technology, while at the same time showcasing just how far stunning visual design can take you. Clearly this game isn't a state-of-the-art rendering powerhouse, but crucially, the final release doesn't show any sign of compromising the developer's vision for the game.